Every one of us goes camping outdoors or go hunting at one point of our lives. Of course, we would need necessary tools for getting the job done. Simply, a hunting knife isn’t just enough to cover all your needs. You can’t make fire without a firewood. Thus, without some chopping gear, you won’t get firewood. One great tool to bring on your camping is a hatchet. Hatchets are generally smaller than axes and very light to your hand. In this article, we will discuss why you should have a hatchet along with your other camping gear in a wilderness. As we go on, we will also review the best camping hatchets that are currently available in the market. We present the current top five best camping hatchets that are available in major markets like Amazon. We also provide the necessary advantages that will make you see if one of these is suitable for your needs. Remember that how you will fair in a strange environment you’re not used to will depend on the survival gear that are with you. Though it has an axe to its name, this is technically a hatchet because of its overall length at 12 inches. Schrader axe is surely a must have for campers and hunters alike because of its length that can be stored inside a bag. It comes with a sheath for the blade made of nylon. 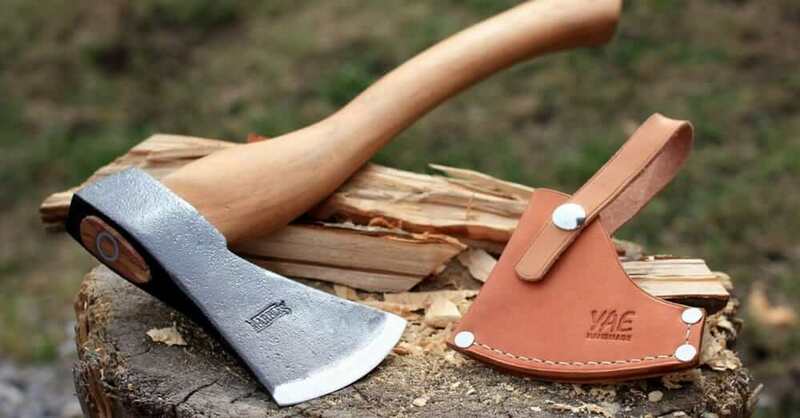 Other features for this hatchet include: a weight of almost two lb., perfect from small to medium jobs, blade length at 4 inches and handle length at 5 inches. Its blade is made of Titanium coated 3Cr12 stainless steel and on the other side, it can serve as a hammer for easy pounding. The handle bar of the hatchet consists of rubberized material coated with titanium nitride that would perfectly fit your grip without the possibility of injuries. However, you will still need constant vigilance in handling possible weapons like this one. The main difference of Schrader axe among the rest is that is has a fire starter steel rod in the handle that you can use you're out in the wild, and you don't have any other way of starting a fire. 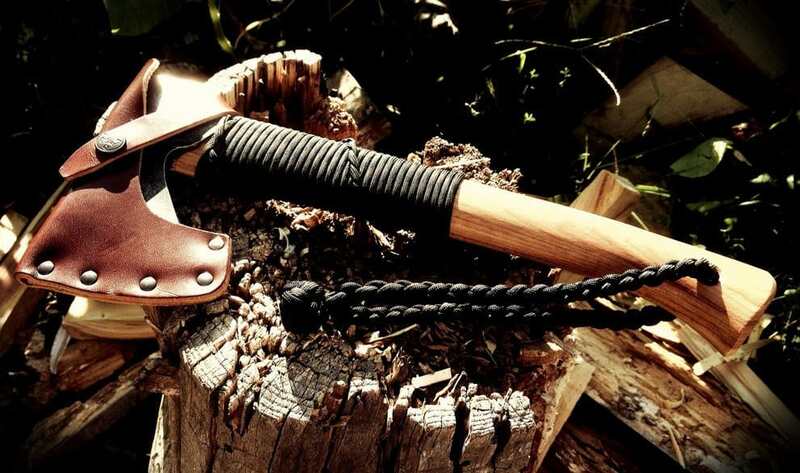 This hatchet by Estwing is deemed to be the most abundant in the whole country of USA. Despite its appearance that comes with an expensive price tag, you'll easily get what you paid for. Estwing provides a hatchet that is for all age because of the following: transferability, lightness, safety, and durability. This has an overall length of 14 inches, and the blade's length is at 3.25 inches. 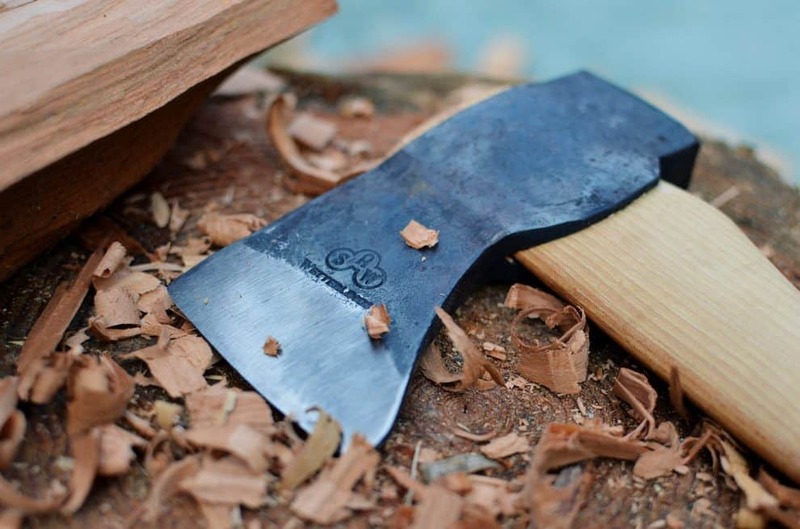 The blade being made of carbon steel encompasses not only the blade but also half the handle of the hatchet. The lower half part of the handle is made of a leather sheath. It is durable and long-lasting but can be subjected to cracking if exposed to moisture. But this can be remediated with applying protective coating after you removed the varnish. You won't need to worry about the head losing contact with the handle because as mentioned before, the head connects with the handle part because it's made of the same material. 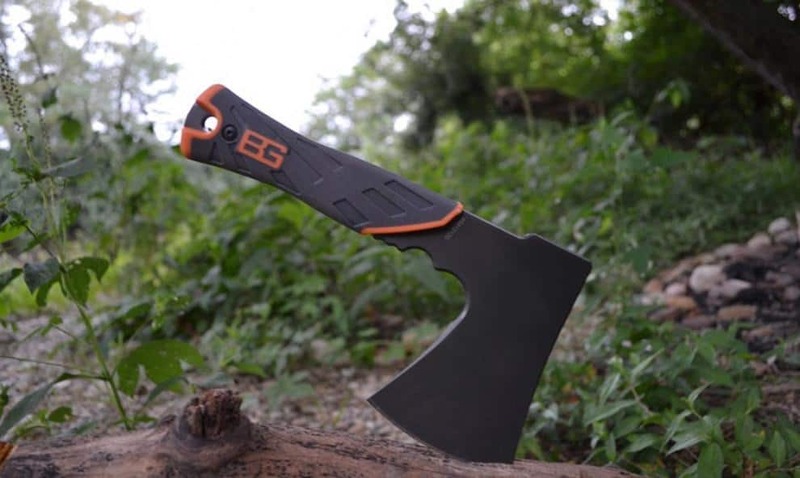 At a weight of 1 pound, Estwing manufactured a hatchet that is perfect for camping and survival. Bear Grylls is a person who is renowned in filming his survival stints in front of the camera. He is popular for his knowledge and skills when it comes to survival. And his name is incorporated with most tools about survival. This hatchet is perfect for small jobs but never on chopping large logs. Its blade is made of high-carbon steel that is very sharp and has high capacity. The length encompasses about 10 inches and the blade at 3.5 inches. The weight is light and perfect for transferability at 1.3 pounds. The blade has a full-tang design that the carbon steel also covers a part of the handle. The back of its head can also be a hammer for pounding. This makes the hatchet perfect for durability and power for chopping and other tasks. The handle grip is made of polypropylene rubber that gives unrelenting grip so it won't slip off from your hand. The material is also made to withstand all kinds of working conditions. 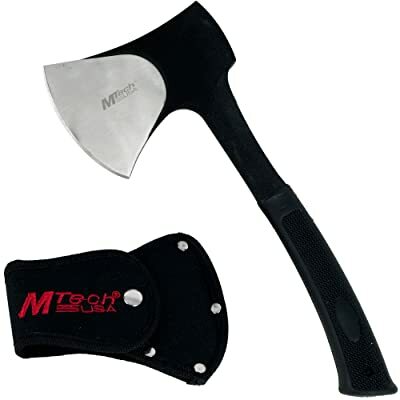 When you buy this hatchet, it also comes with a nylon cover for covering the blade when not in use. This compact hatchet is perfect for camping and outdoor experiences. It is also good for tactical use anytime. In fact, this is made in the USA and is essential for buyers that want to buy tools that are made in that country because of known strength and originality. The blade is 3 inches and is made of stainless steel that has more carbon percentage for enhanced sharpness and edge retention. The overall length is at 11 inches and a perfect size for portability. Portability is definitely the main advantage with a weight of less than a pound. You can carry it inside your bag. But need not worry about its blade sharpness because it comes with a nylon cover. Its handle is made of rubber and is known to provide slip-resistance grip when you swing it with one hand. The comfortable grip it provides is long-lasting and can withstand all working conditions. 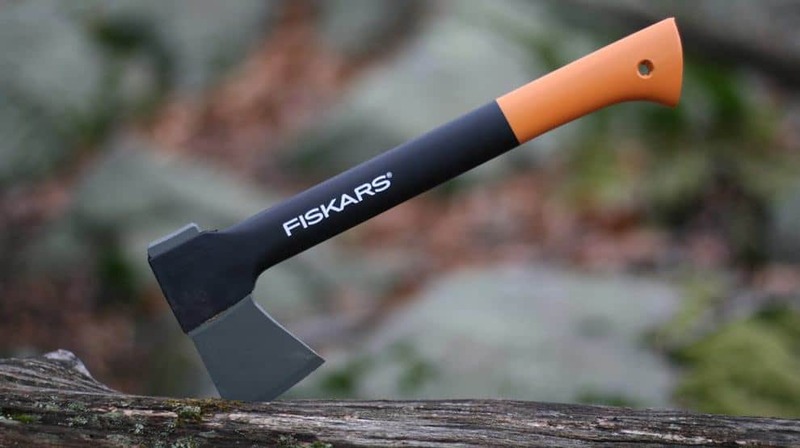 Scissors are the main staple of Fiskars Company, but they also manufacture hatchets. Sharpness is what they are renowned for, and this is also incorporated with their hatchets. That's why this hatchet is good for outdoors like camping, hunting, and even survival. But even hatchets have limitations because of the size and good for small to medium logs. 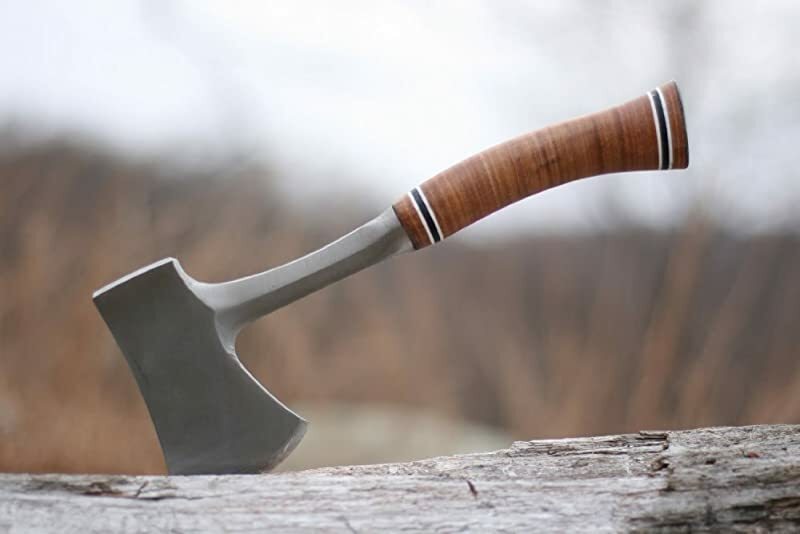 The X7 hatchet has an overall length of 14 inches and weighs about 1 pound. The blade is made of forged carbon steel from Finland that is very sharp. The hatchet's head is unbreakable with the handle because of PermaHead insert-molded head. Its handle is made of shock-absorbing reinforced fiberglass, and the grip is unrelenting that will prevent from slipping, providing you with full control of the hatchet. The hatchet has an advantage of your blade penetrating deeper with each swing. Also, it has a perfected balance and with each increasing swing speed, the power also multiplies. Hatchet's head is also protected with a nylon sheath if you want to transport it. A camping hatchet is a type of axe, however, smaller and lighter. With an axe, you have to swing it with two hands because of its long handle, but you can do with one hand with the hatchet. Hatchets have other names like hand axes and tomahawks. Tomahawks were ancient combat weapons from the past, and hatchets were modeled from them. Camping hatchet as mentioned before is lightweight, and you can stow it in a backpack. Hatchets are portable that you can hide it from plain sight so you won’t look intimidating for what others may think as a weapon. As for the uses of a hatchet, it is just like an axe but has a smaller capacity. You can chop firewood that you found on the forest floor, build a small shelter, cutting largely hunted preys like deer, etc. 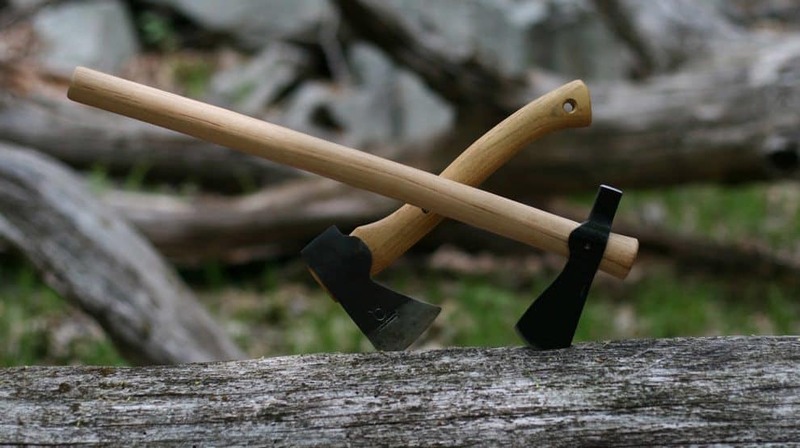 It’s generally good to use a hatchet than just a knife when it comes to this kind of tasks, because of the hatchet’s durability and strength. There are hatchets that can be used as hammers using the other end of the blade, depending on the manufacturer. 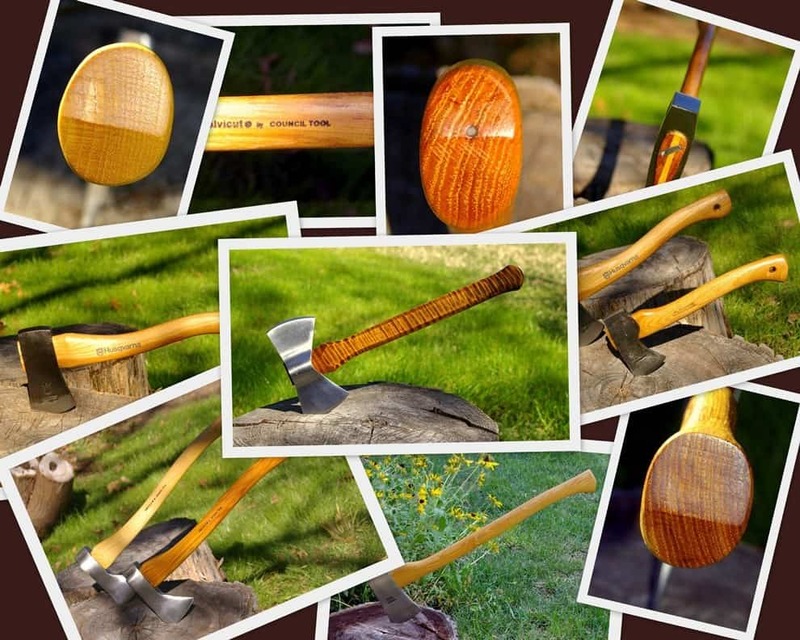 If you intend to purchase a hatchet, you’re not just incorporating your desired style and design into it. You also need to consider the functions it can give you and then weigh your options. Hatchets normally weigh around 1 to 1.5 lb., but depending on the brand, it can even be lesser than a pound. Of course, with a lot of trekking, even the normally average weight of stuff can get heavy over time. With a lightweight tool like a hatchet over an axe that normally weighs around 4 pounds, a tool that you can swing with one hand that provides full control would be a great relief. It’s true that a heavier chopper can give you more power, but consider the situation wherein you can be extremely fatigued and famished. You will need a hatchet that is light in all conditions. Hatchets come in various lengths depending on the brand. But as a general construction, they are always smaller than axes and ranging from 10 to 16 inches. With that kind of handle length, you can carry one in your backpack. The material for the handle is commonly wood and fiberglass. Other options are available like rubber and metal. The kind of wood used is hickory and is known for its durability. However, there are instances that wood will rot because of longevity, and you don’t want to wait for that to happen. That’s why most modern hatchets are made of other materials like fiberglass because they don’t rot. The head of your chopping tool is what contacts the hard surface like wood. It is typically made of forged steel that has a length of 3 to 5 inches. Acquire a hatchet with a head not attached with glue, notch, and groove for safety precautions. Head not strongly attached to the handle may cause fatal injuries if it bounces back to a part of your body or someone. The design for the blade may come in different types. Though the most common single head is available, we also have double head and the spiked head. The double head has blades side by side, while the spiked head has a pickaxe-like blade aside from the normal blade. The spiked head can function as both pickaxe and hatchet at once. Some hatchets have a full-tang design that means that the blade and handle are forged with one type of material, typically a steel. Make sure that you buy a hatchet that won’t need constant maintenance to function properly. It should be able to hold the blade’s sharpness for quite some time. A dull hatchet is like a dull knife and can be inefficient in getting the work done because you’ll need to spend a lot of time and energy. Because of the portability of the hatchet, you may want to cover the blade so it won’t mess up with other stuff inside your bag. Also, it provides safety precautions that can make you feel more confident with bringing your hatchet your trip. A good sheath for the handle like the rubber over the metal handle is exceptional in providing the person shock absorption due to swinging and an unrelenting grip for easier chopping. It doesn’t mean that high prices guarantee high-quality camping hatchets. Discover other hatchets that you can buy at a budgeted price but has the premium features of the best camping hatchet accessible. The article about the buying tips and reviews of best camping hatchets concludes here. It depends on you, the one who will use the actual hatchet to see if what you're eyeing can really do its job. Depending on the person, how thin the blades are and how long the handles are can be essential to know how efficient you will be in camping and how they will aid in your survival.